Stuffed Fables makes RPG dungeon crawling board gaming accessible to (nearly) all ages and condenses it down to a single adventure book. It’s also super adorable. 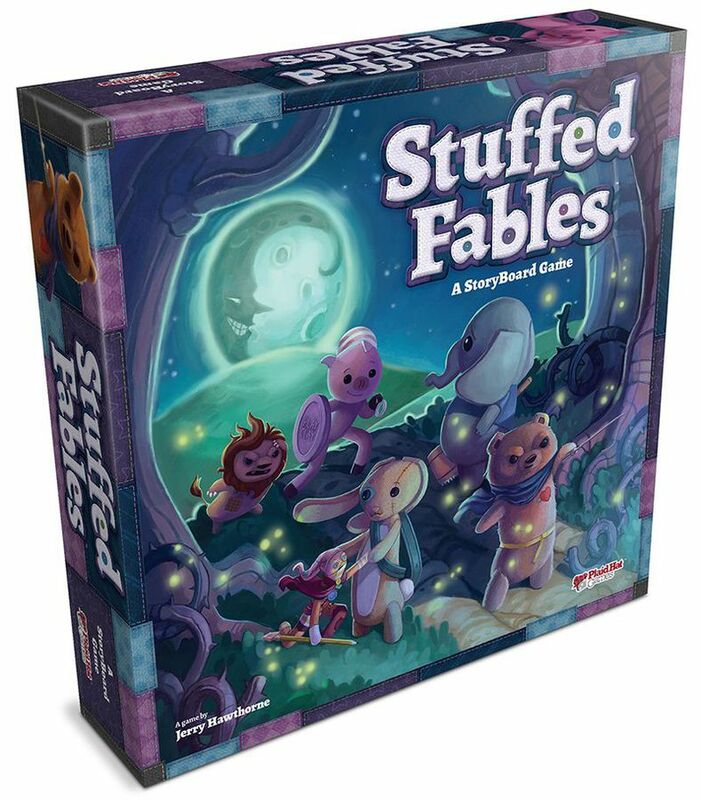 Stuffed Fables is a dungeon crawling RPG board game where players take the role of stuffed animals protecting the little girl that loves them from the monsters under her bed. The game comes from designer Jerry Hawthorn, who also designed Mice & Mystics. As part of their Adventure Book series of games, the game’s map, rules, and story guide all come within a single book. On each turn, the player will draw a die from the back which will determine which actions that player’s ‘stuffie’ can take. Red for melee attacks, yellow for searching, blue for defense and so on. Drawing a black die will add it to the Minion Track. Once the minion track is filled, they will activate and potentially attack the stuffies. Stuffed Fables is certainly geared towards children, which is shown through the non-complicated gameplay mechanics but also through the storytelling. The story elements of the game are a large part of how the game will flow. Each chapter has a long introduction, which could be a great teaching tool for an aspiring reader. The gameplay is certainly not overtly difficult which, again, is a great way to introduce children to this genre of games.